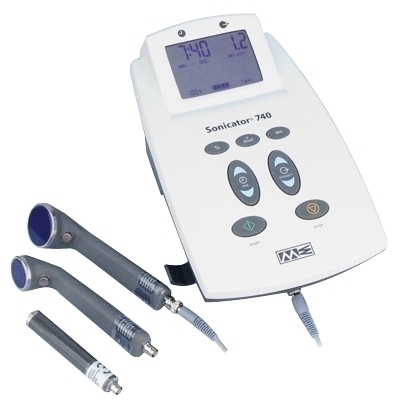 The Sonicator 740x has all the features of the Sonicator 740 but comes standard with all three available applicators--a 5 cm2 dual frequency applicator, a 10 cm2 / 1 MHz applicator and a 1 cm2 / 3.3 MHz applicator. All three applicators can be stored on the unit itself to keep them available at all times. Dimensions: 13.5" x 7" x 9.5"